Eskimo, now that’s a word. White word. White word for white people to wrap around their pink tongues. Esquimaux. Spell it any way you want and it still comes out the same, skid row and all. – from "Kabloona Red"
In Annie Muktuk and Other Stories, Norma Dunning portrays the unvarnished realities of northern life through gritty characters who find themselves in difficult situations. Dunning grew up in a silenced form of Aboriginality, experiencing racism, assimilation, and colonialism; as she began exploring her Inukness, her writing bubbled up to the surface. Her stories challenge southern perceptions of the north and Inuit life through evocative, nuanced voices accented with Inuktitut words and symbolism. As with Alootook Ipellie’s work, these short stories bring Inuit life into the reality of the present. 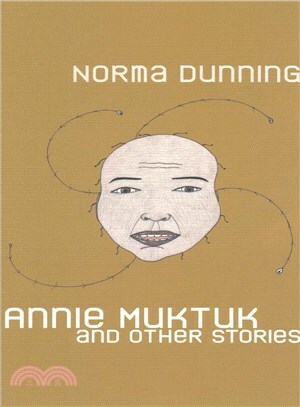 Norma Dunning is an Inuit writer, scholar, researcher, and grandmother. Her creative work keeps her most grounded in the traditional Inuit ways of knowing and being. She lives in Edmonton.